Flirty off the shoulder blouse with fun pom detailing at the hem. 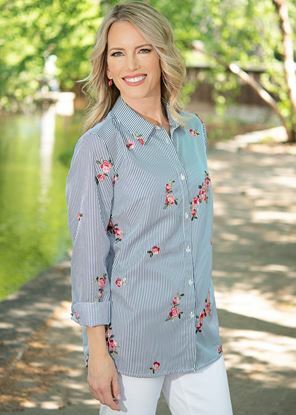 Classic, tailored blouse updated with feminine floral embroidery. A tee with attitude! Made of super soft, lightweight fabric with hand-tied detailing on shoulders and back.